Saudi Arabia's national oil company "Aramco" is the country’s largest oil production facility and is a significant exporter in the Organization of the Petroleum Exporting Countries. They said that a cyber attack against it in August which damaged some 30,000 computers was aimed at stopping oil and gas production at the biggest OPEC exporter. The interior ministry said it was carried out by organised hackers from several different foreign countries and Aramco employees and contractors were not involved. “The main target in this attack was to stop the flow of oil and gas to local and international markets and thank God they were not able to achieve their goals,” Abdullah al-Saadan, Aramco’s vice president for corporate planning, said on Al Ekhbariya television. 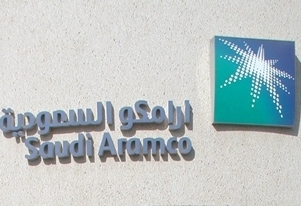 The attack used a computer virus known as Shamoon, spread through Aramco’s network and wiped computers’ hard drives clean. Aramco said damage was limited to office computers and did not affect systems software that might harm technical operations. Later, Hacker group called Cutting Sword of Justice claimed responsibility for the attack. A posting on the website of Cutting Sword of Justice a day before the attack accused Saudi Arabia of crimes and atrocities in countries that include Bahrain and Syria.